nation. There are only 12 recipients of the State award in the United States this year. Mr. Schuller was selected as a State recipient from recommendations made this fall from the Iowa High School Speech Association. continues to be a leader in the NW District of the Iowa High School Speech Association. 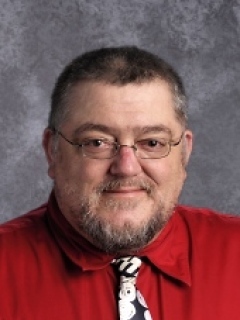 Mr. Schuller has been an exceptional leader in the Sibley-Ocheyedan school system and works as a mentor to young teachers in his role as supervising teacher. He is a positive leader, one who is always willing to take the time to work with any coach and give a helping hand. He has made a huge difference in the entire educational program of Sibley-Ocheyedan schools. The National Federation Interscholastic Speech, Theatre and Debate Educator Award was first given in 1988 when seven individuals received sectional awards. Since that time, 216 sectional and 347 state awards have been presented. Nominations for this award are solicited from all fifty states. Awards for state and section are not automatically given. Special congratulations to BJ for being selected for the award this year. It is with a great deal of pleasure that the IHSSA welcomes BJ Schuller into this prestigious group.